In today’s era of immediacy, consumers are more demanding than ever. To keep up with customer expectations, brands are starting to invest in Voice of the Customer (VoC) programs that employ a closed-loop process. Ask any CX, research, or marketing executive, and they will tell you that gone are the days when the customer marketing landscape was represented by a one-way dialogue for engaging prospects. 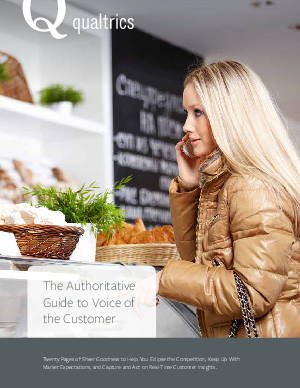 Today, market leaders are shifting their listening and response mechanisms faster as VoC programs represent a huge opportunity for driving loyalty and increased sales. Which led us to this question . . . How do you get the right customer feedback data to the right people at the right time to take the right course of action? Do brands truly understand the value of an effective VoC program?